It's been a long time coming, but the waiting has paid off! TWO OF THE BIGGEST ARTISTS IN POP/HIPHOP ARE COMING! Get ready as Macklemore returns to the stage for a North American summer tour – the hype is here! With his chart topping anthems such as "Downtown," "Can't Hold Us" and "Thrift Shop," Macklemore truly knows how to get a crowd going and jumping to his out of this world collection of tracks! A unique and fresh artist on the LIVE music scene – book your tickets today as the tour is fast approaching! 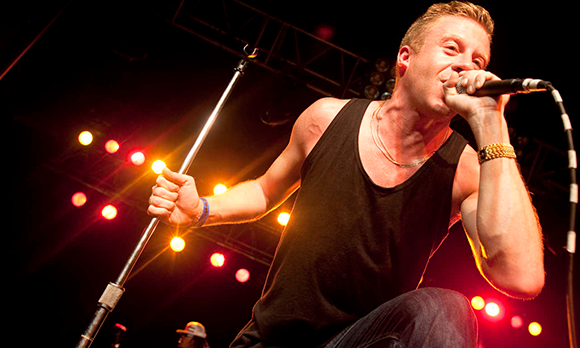 Macklemore is one of those names that just exploded onto the live and radio music scenes with his incredible tracks such as Thrift Shop, he took over the charts in 2013 and became top of the US Billboard 100 with the catchy and unique anthem! With the help of his co-talent, producer, Ryan Lewis, Macklemore is continuing to impress where-ever he goes and this coming Summer he takes once again to the road across North America to bring nothing but his biggest collection of hits and brand new material to the stage! With a wide range of his independently released one mixtape, three EPs, and four albums – he's ready to blow the crowds away! There's very few artists that have proven that they don't need a record label to one, producer and release their records, two push themselves into the limelight and three, get the following they truly deserve – Macklemore is one of these little sparks of gold dust… come and catch him as he takes to the stage in June! It's about to kick off! !